Men and their families attended the Make Healthy Normal Zone at the Men’s Shed in Emerton on Wednesday, 14 June, as part of Men’s Health Week 2017. 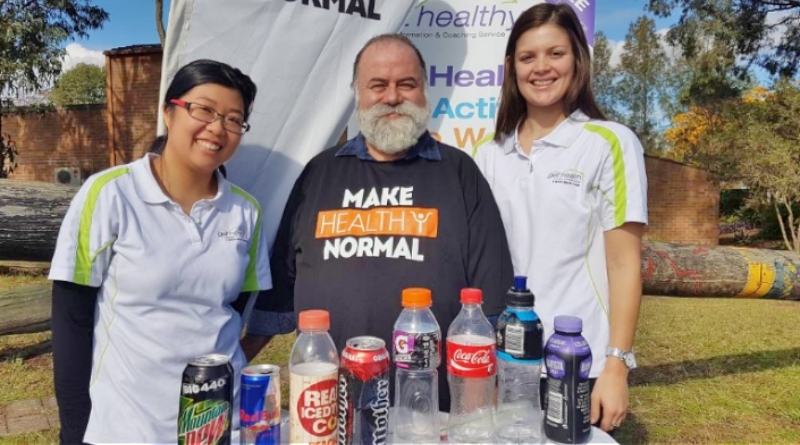 The Make Healthy Normal Zone showcased a range of fun and exciting ways to create more vibrant and healthy lifestyle choices. The zone was packed with outdoor activities including football and tennis, healthy food advice, snacks and giveaways. Experts were on hand to offer advice to men and their families on easy ways to stay active and eat better. WSLHD Deputy Director Centre for Population Health Christine Newman said the Make Healthy Normal Zone helped to encourage men and their families to make small changes that will make a big difference to their health and wellbeing. “More than half of the adults in NSW are overweight or obese. We are living in an environment where we don’t eat enough fruit and vegies, we have too many sugary drinks and we’re not active enough. That’s having a massive impact on our health, wellbeing and quality of life,” she said. “We want to offer positive solutions on how to make small improvements to healthy eating and physical activity which can make a big difference to our overall health. “Even a modest weight loss of 2 or 3 kilograms can reduce the risk of type 2 diabetes.